Welcome to Atrens-Counsel Insurance Brokers! For over 35 years Atrens-Counsel has been providing customized insurance solutions to protect our clients. Our focus not only includes providing a high level of insurance coverage and unparelleled service, but also to work with our clients to manage their insurance coverage for the long-term. 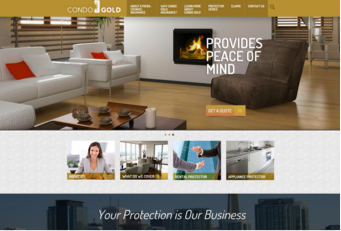 Atrens-Counsel has a website dedicated to CondoGold. Learn about this exclusive offering for condo unit owners, which provides the most comprehensive coverage at a preferred price. Protecting your personal assets is our number one priority! With many exclusive insurance products and programs with major Insurers, we strive to offer you the best protection available at a highly competitive price. Businesses face many risks in their day-to-day operation, let us work with you to build a customized insurance program to manage those risks today and for years to come. As the leader in providing Condominium Corporation Insurance, Atrens-Counsel works with property management, board of directors and unit owners to manage condominium insurance responsibilities for the long-term.